Over the river and through the woods (and halfway across the country), to Grandma’s Marathon the GRC racers go. 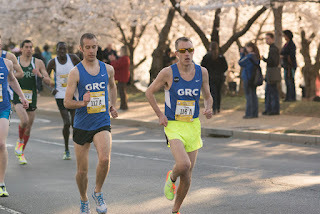 After slogging through high mileage weeks in even higher humidity, a hardy group of GRC distance specialists is eager to reap the rewards by heading west to Duluth, MN for the Grandma’s Marathon and Garry Bjorklund Half Marathon this Saturday. Luke "The Blond Whale" Meyer, Kieran "Rube" O'Connor, Jerry "Outlaw" Greenlaw, and Kristin "Snakes" Johnson are all in excellent shape and ready to use the notoriously flat and fast courses to go after Olympic Trials qualifying times and huge PRs. Kieran and Outlaw at Cherry Blossom. Photo by Cheryl Young. Luke is looking to make a third trip to the Olympic Trials by qualifying for the marathon with a 1:05 half marathon. 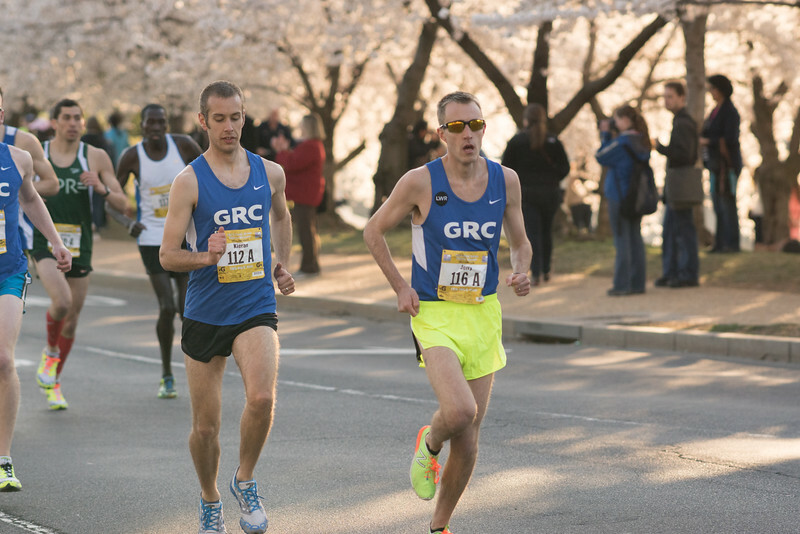 After racing the Garry Bjorklund Half last year, he is back with a vengeance. An excellent spring training session should help him stake claim to the standard. In the full marathon, Kieran is ready to nab a trials qualifier by going after the 2:18 standard. Kieran is in the best shape of his life and has looked great in workouts; “He has a real shot at qualifying,” says Coach Jerry. After making promising marathon debuts in 2014, Outlaw and Kristin are ready to show the marathon who’s boss. With lessons learned from their debuts combined with recent training, their times are ready to fall in a big way. Coach Jerry says, “Outlaw’s training was excellent, and he’s looking at running a big PR.” Kristin is in great shape, running some superb workouts this spring after a PR-filled fall. Coach Jerry states what those who have run with Kristin know first hand: she is ready for a major breakthrough. Yours truly will be on location in Duluth to bring the breaking news of breaking PRs and OTQs so stay tuned Saturday morning! On Sunday, back along our own river and woods, GRC is hosting the 6th annual Father’s Day 8K. 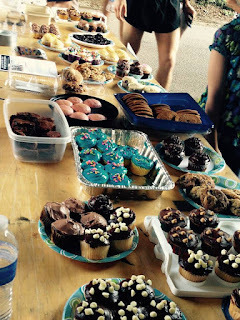 Celebrate Father’s Day with a flat, fast run along the C & O Towpath, a family-friendly atmosphere, and a finish jam-packed with homemade treats (some of which may be literally jam packed) and amazing raffle prizes! Sign up today! A few dozen reasons to sign up for the 8K.